The wedding festivities have begun. Priyanka Chopra and Nick Jonas will wed on December 2 at the Umaid Bhawan Palace, Jodhpur. Nick arrived in Mumbai on November 22. His brother Joe Jonas and his fiance Sophie Turner (Game Of Thrones) arrived on Monday, November 26. 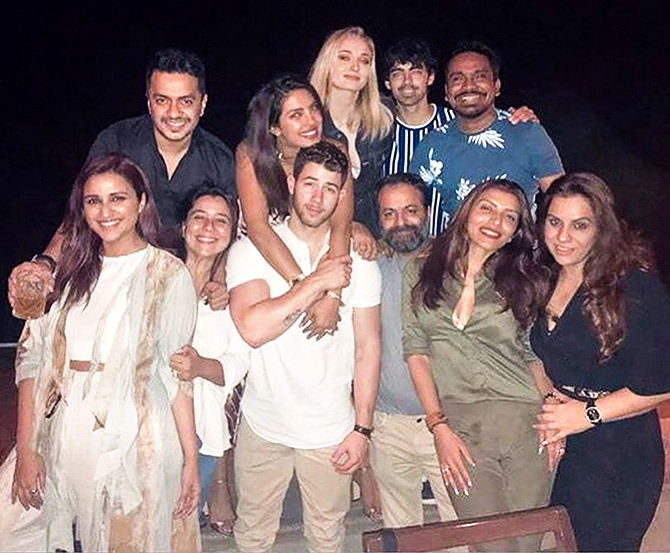 Nick and Priyanka dined out on Monday night along with Sophie, Joe, Priyanka's kid brother Siddharth Chopra, cousin Parineeti Chopra, Srishti Behl and writer Mushtaq Sheikh at a Juhu restaurant. Priyanka Chopra and Nick Jonas walk hand in hand. 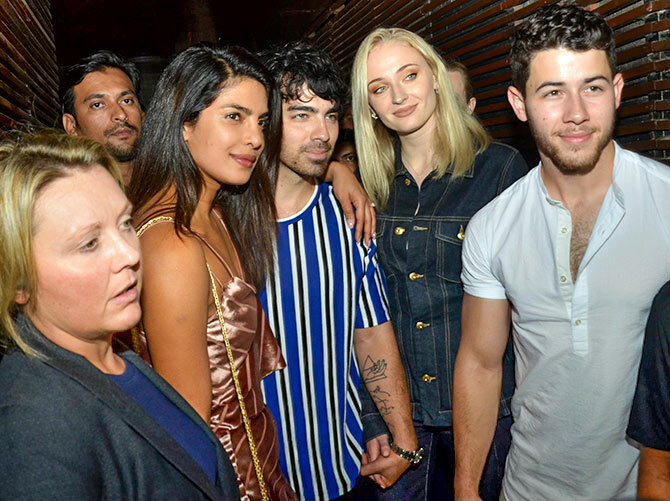 Priyanka with Joe Jonas, Sophie Turner and Nick. 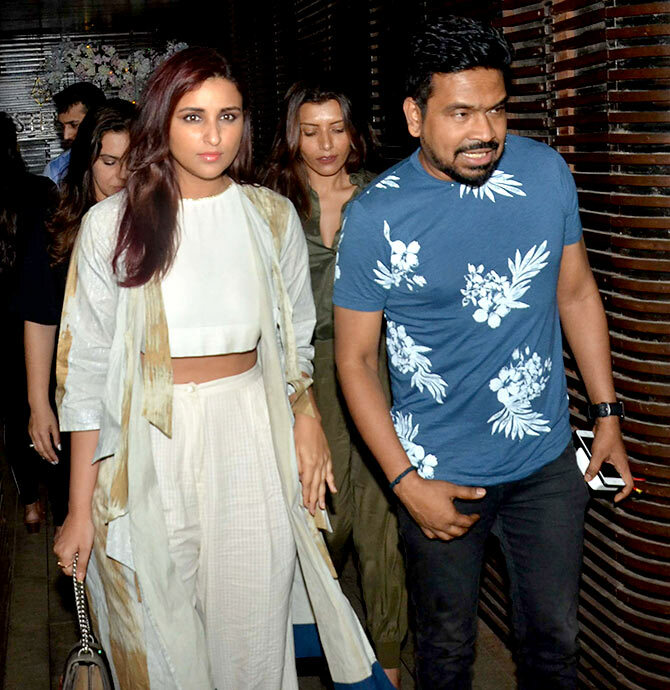 Parineeti Chopra with Mushtaq Sheikh. Nick Jonas posted an Instapic from the party. 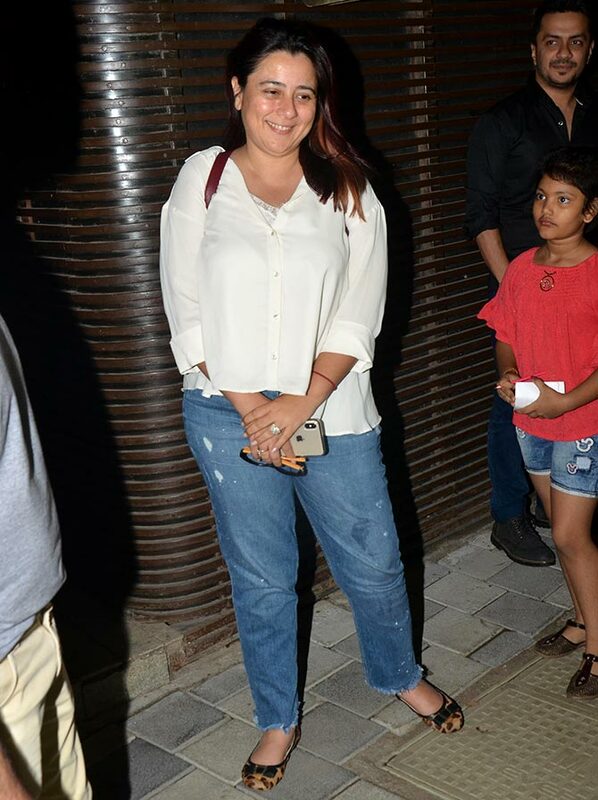 Srishti Behl was present at the couple's engagement. 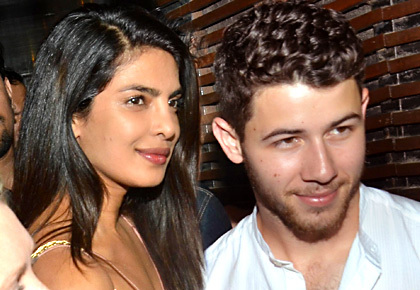 Paparazzi surround Priyanka and Nick. 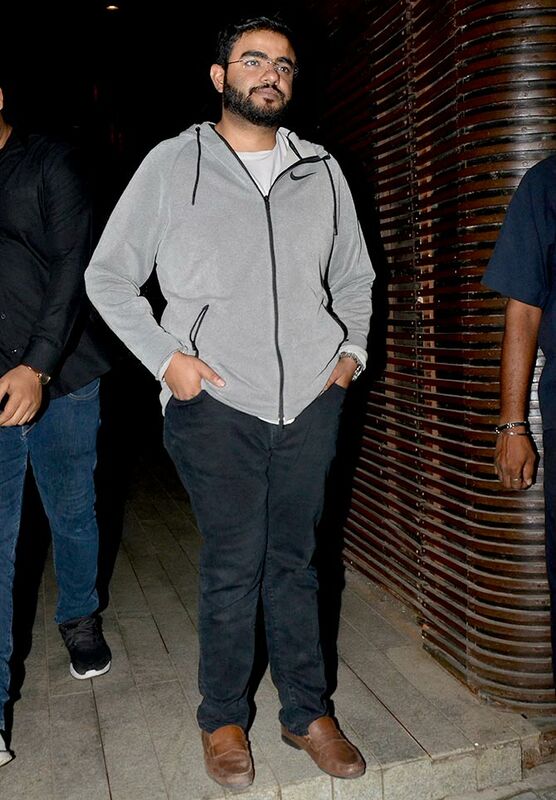 Priyanka Shaadi countdown begins: Nick arrives!